PESHAWAR, Feb. 13, 2015 - Pakistani security officials inspect the suicide blast site in northwest Pakistan's Peshawar on Feb. 13, 2015. 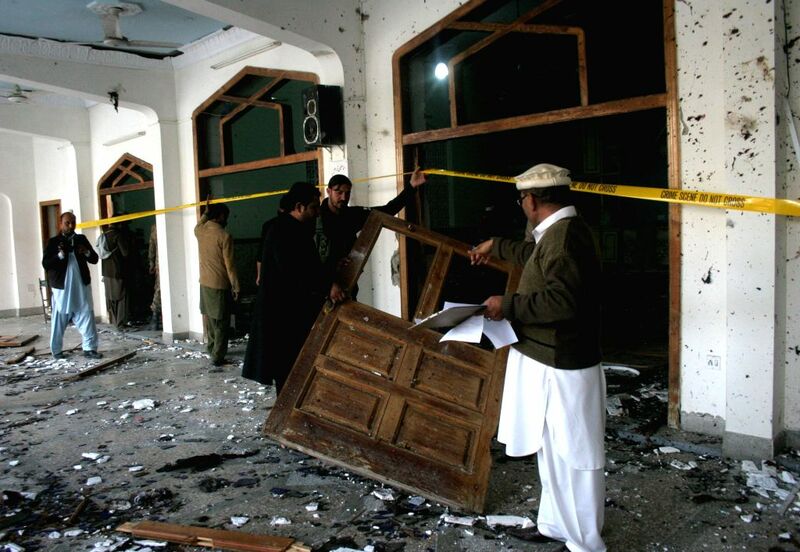 At least 19 people were killed and over 40 others injured in a twin suicide attack at a mosque of Shia Muslims in Pakistan's northwestern provincial capital of Peshawar Friday afternoon, officials said. 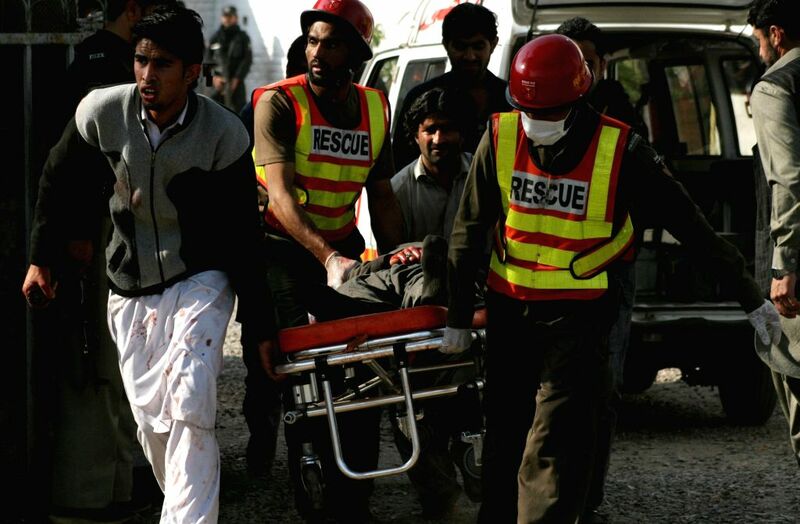 Rescuers transfer an injured man from the suicide blast site in northwest Pakistan's Peshawar on Feb. 13, 2015.